DUDE. IT IS THE END OF JULY. Which means August is, like, tomorrow which means September is basically next week, so SEISMIC DANCE EVENT HYPE IS FULL FORCE. So, as you all should know by now, one of Seismic’s booked artists is the deep house producing, cat loving, “This Never Happened” label boss Lane 8. The dude has been insanely busy touring not only with his own “Little by Little” album tour, but has also made some stops as a guest on the "Anjunadeep Open Air" series. So it’s preeettyyy cool he’s making a little stop along the way to grace us at Carson Creek with his lovely melodies. SPEAKING OF, the point of this blog: MEWZIK. Daniel (that’s Lane 8’s real human name) released a new track that’s been floating around in his latest sets and it is a NICE LITTLE CHOON if I do say so myself. While the track consists of elements that clearly mark a Lane 8 classic, like the use of vocals and a strong melody with little to no harmonies, I think Danny Boy stepped out a bit from his usual style with this one. “The Disappearance of Colonel Mustard” starts off with a cozy, deep house warmth to it, then moves into an energetic build up we’d usually expect to smoothly crescendo into a harmony-layered version of the original melody. Instead, Daniel chooses to drop us into a groovy bassline that is eventually joined by an 80s inspired drum pattern. IT SOUNDS GOOD GUYS. AND IT MAKES ME WANNA BOOGIE. So check it out for yourself below, I’m sure you can all spare five minutes of your time. Then come to Seismic because duh. After experiencing Lane 8's near-spiritual & life changing sunrise set on Holy Ship earlier this year (surely you've heard about it if you have any #Shipfam friends)... quickly followed by our own "This Never Happened" show at Ironwood Hall... Lane 8's momentum and grasp on our hearts has been undeniable, always leaving us with the need for more more MOAR! We knew he was an artist we needed on our Seismic debut and couldn't be more stoked that it will come to fruition. Adding that perfect deep melodic and progressive touch to the fest will be just the right pairing. 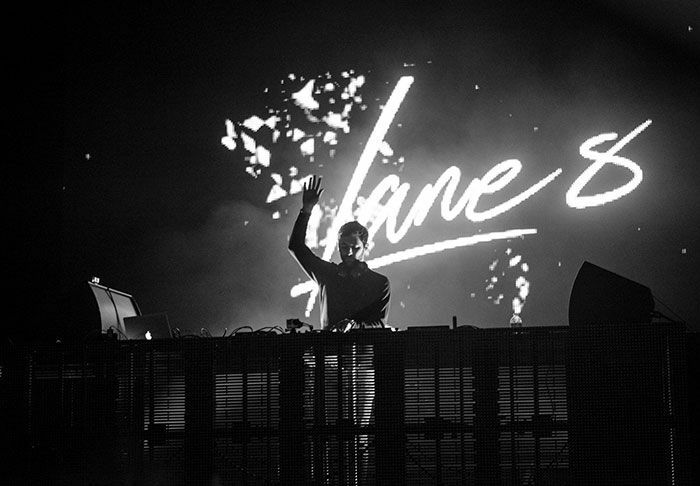 Since we know Lane 8 always fits so well with extra special settings, we are pleased to announce that Lane 8 will be our closing ceremony set! Without a doubt, this is one not to be missed, but you already knew that didn't you? Go snag your tix at www.seismicdanceevent.com. © 2017 RealMusic Events All rights reserved.